on Thursday 4th May, 7-9pm. A limited edition Riso print produced at Libreria will accompany the first 50 copies purchased. Curator Fatos Ustek, publisher Arnaud Desjardin and artist Ian Whittlesea will briefly discuss the book at 8pm. 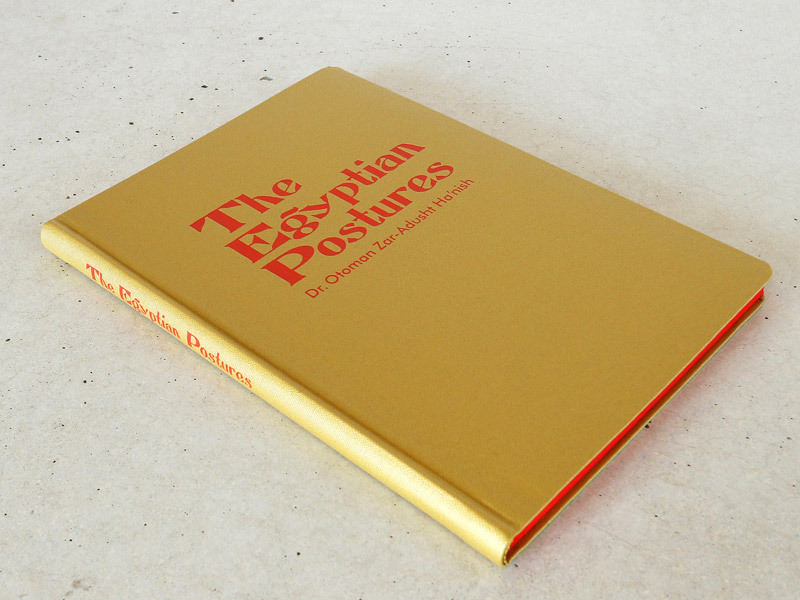 The Egyptian Postures is a guide to the most advanced Mazdaznan exercises that Johannes Itten taught his students at the Bauhaus. Often performed while singing or humming the postures were intended to activate glands and re-channel internal energies, stirring the blood in ways that contributed to the perpetual evolution of humanity. They were also said to induce auto-illumination, the participant's body generating an intense light from within. This edition of Dr. Otoman Zar-Adusht Ha'nish's original instructions has been newly edited and illustrated by Ian Whittlesea with images of actor Ery Nzaramba demonstrating the postures and an in-depth essay by Pádraic E. Moore that explores the relationships between esoteric movements, their racial theories and early modernism's embrace and eventual dismissal of the occult, Mazdaznan and Itten.